This 70-shot photo sequence shows a lightning display that occurred during a severe thunderstorm last summer on the island of Ikaria, Greece, near the southwestern coast of Turkey. The stormy weather actually developed during my photo session of the total lunar eclipse on June 15, 2011. To make this shot, I set my camera on a tripod taking 20-second exposures continuously. 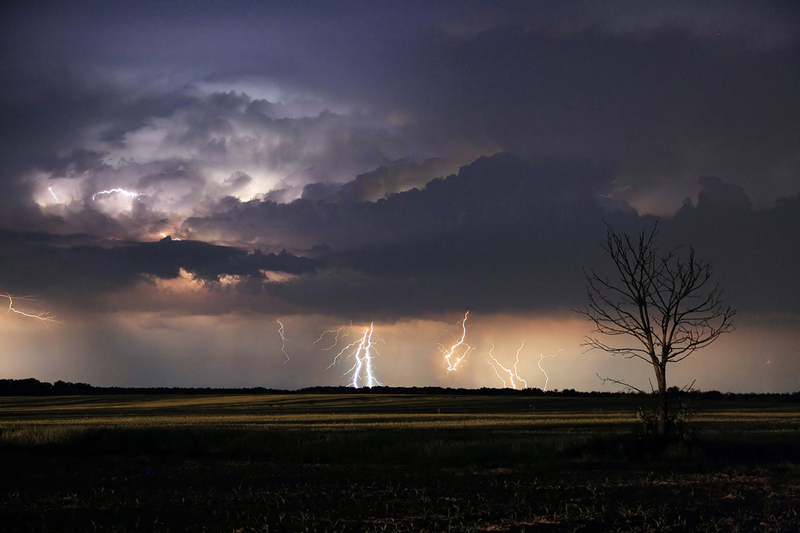 More than 100 lightning bolts were captured in this sequence, the majority of which were potent cloud-to-ground strikes. Photo Details: Canon EOS 550D camera; shutter speed of 20 seconds (70 shots); 7.1 aperture; ISO 400; Canon EF 50mm, f/1.8 II lens; 50.0 mm focal length. Photo sequence taken on June 16, 2011 between 1:17 a.m. and 2:40 a.m.